Gertrude “Trudy” Ashby, 88, passed away peacefully on the morning of March 17, 2018. She was born in Cherryfield on January 13, 1930, the middle child of Mansir and Josie Grant. She grew up happily with older brother Virgil and younger sister Ardelle. Trudy graduated from Cherryfield Academy as salutatorian of her class. On October 26, 1949 she married Don Ashby of Lubec and they settled on the South Lubec road in a house built by Don and his father Earle. They lived in that house, facing the ocean, for more than half a century. Her career was her home and family. She often said that her biggest accomplishment was raising her daughter Carole and son Craig. Her granddaughter Lorri and great grandson Wyatt were an important part of her life. Trudy enjoyed the simple things in life such as a warm sunny day, picking wild berries, watching for wildlife from her kitchen window, spoiling her pets, a cup of hot tea and a nice nap on a cold day. A shopping trip was always thoroughly enjoyed. She also enjoyed the friendships made during her younger years while employed at a local sardine factory. 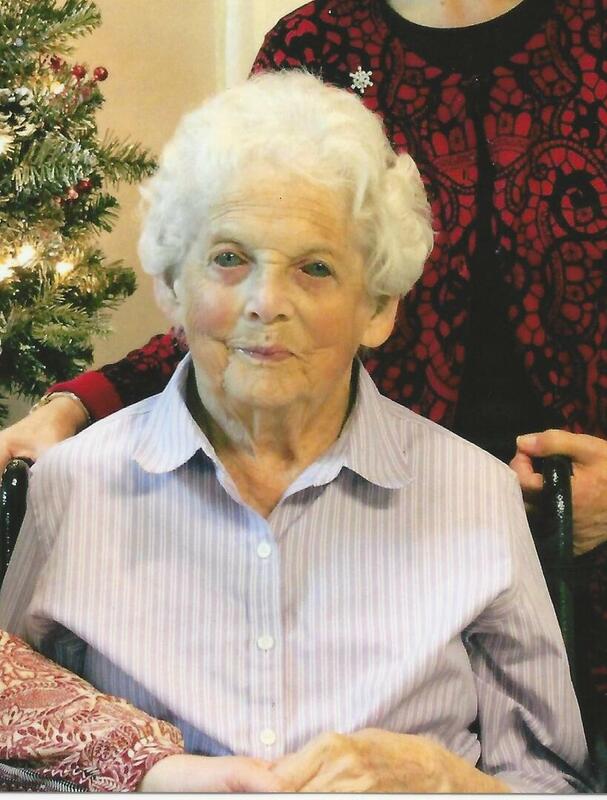 Trudy will be remembered for her love of family, her beautiful blue eyes, and her inquisitive questions. She had the uncanny ability to meet a person once and quickly learn their life story. Trudy will be missed by son Craig Ashby of Lubec, daughter Carole and son-in-law Wayne Newman of Brewer, granddaughter Lorri Newman and great grandson Wyatt Newell of Hampden; also several nieces and nephews. In addition to being predeceased by her parents, brother Virgil Grant and sister Ardelle Kelly, Trudy was predeceased by her husband Don on February 16, 2015, after 65 years of marriage. The family would like to thank the staff at Marshall Health Care facility for their kind and compassionate care. In her memory, any act of kindness towards others would be appreciated. A graveside service at Green Acres Cemetery, Lubec will be held at a later date. To send flowers to the family of Gertrude "Trudy" Ashby, please visit our Heartfelt Sympathies Store.